Wish Aussies, ‘Happy Australia Day’ With FREE Wine! You don’t have to be an Aussie to celebrate Australia Day in London on Thursday; this year us “whingeing poms” are welcome as well. What would the capital be without our cousins from Down Under – and here’s your chance to toast them with FREE wine. 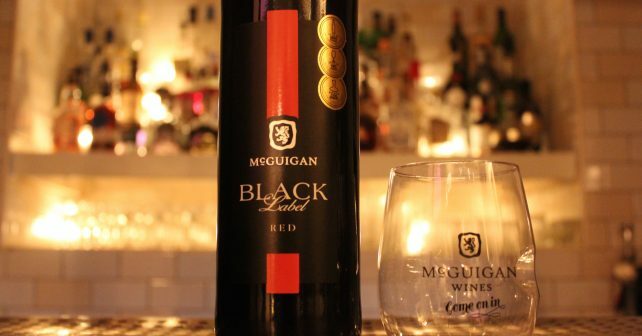 Head for Shoreditch or London Bridge where London Grind has McGuigans Wines (red, white and rose) with your name on it. All you’ve got to do is say, “Cheers to Aussie Day” at the bar for a FREE glass. Get there early enough and they’ll also be a limited number of FREE miniature bottles for customers to take away and drink later. Be sure to tell your Antipodean mates. And no worries Aussies, we promise we won’t mention the Olympics or last year’s test rugby. Well, not after one glass anyway! *It’s the official National Day of Australia and marks the anniversary of the arrival of the First Fleet of 11 convict ships in Australia from Great Britain in 1788. *After the American War of Independence the British Government sought alternative penal colonies so hello, Australia! *The first flag was planted in Sydney Cove, so-called because it was named after British Home Secretary, Lord Sydney. January 26th, FREE wine at London and Shoreditch Grind 7am-11pm while stocks last.